Monitor, share, and organize information in real-time, with the help of networks you trust. 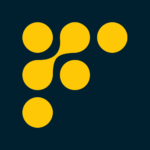 Factr lets you instantly find, easily organize, securely share, and collaboratively evaluate information that matters to you. It’s simple to set up, easy to use, and purpose-built for collaboration.You’ll eliminate redundant research, harness dispersed expertise, foster swift discussion—and make more-informed decisions, faster. Improve Global Surge Capacity for the benefit of those affected by crisis and disasters. HumanSurge seeks to improve the quality and timeliness of humanitarian response through enhanced surge capacity of humanitarian responders, professionals and organizations, to the ultimate benefit of affected populations. HumanSurge is driven by social impact, not by profit. Vecna® was founded on the idea that people matter, and that businesses can be profitable, ethical, and socially responsible. Vecna believes strongly in contributing to the community around us. We are dedicated to four community service missions: Global Health Initiative; Healthy Communities; Open Source; and Technology for the Future. Vecna Cares Charitable Trust provides technology and training to support and strengthen health systems in underserved areas for better health outcomes. We build systems that close the information gaps between patients, caregivers and decision makers. MadiDrop PBC is a public benefit company providing safe drinking water to communities throughout the world. Working with humanitarian, relief and mission-based organizations, we provide the MadiDrop, an all-natural ceramic tablet embedded with silver. The MadiDrop provides a simple approach to address the critical number of waterborne diseases that result from drinking contaminated water. Conflict Dynamics International is an independent, not-for-profit organization that works to prevent and resolve violent conflict and to alleviate human suffering resulting from conflicts and other crises around the world. Join us to learn about our recent work to explore some of the opportunities and challenges of applying technologies to improve humanitarian access in situations of armed conflict. We will also be showcasing resources co-developed with the Government of Switzerland, the International Committee of the Red Cross (ICRC) and the United Nations Office for the Coordination of Humanitarian Affairs (UN OCHA), that guide humanitarian practitioners to develop options to better secure and sustain humanitarian access. Oak Ridge National Laboratory is the largest US Department of Energy science and energy laboratory. ORNL’s diverse capabilities span a broad range of scientific and engineering disciplines, enabling the Laboratory to explore fundamental science challenges and to carry out the research needed to accelerate the delivery of solutions to the marketplace. ORNL supports DOE’s national missions of: scientific discovery, clean energy and security. The Population Council confronts critical health and development issues—from stopping the spread of HIV to improving reproductive health and ensuring that young people lead full and productive lives. Through biomedical, social science, and public health research in 50 countries, we work with our partners to deliver solutions that lead to more effective policies, programs, and technologies that improve lives around the world. Established in 1952 and headquartered in New York, the Council is a nongovernmental, nonprofit organization governed by an international board of trustees. 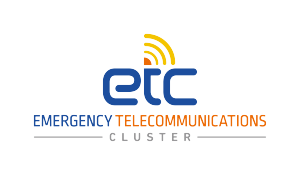 The Emergency Telecommunications Cluster (ETC) is a global network of organizations that work together to provide shared communications services in humanitarian emergencies. The ETC is one of the 11 clusters designated by the Inter-Agency Standing Committee (IASC). The ETC provides the emergency response community with the communications services they need to operate effectively and efficiently, and to save lives. Quickly collecting reliable information in a humanitarian crisis is the critical link to saving the lives of the most vulnerable. Understanding the population’s needs is often neglected for lack of quick means to gather and analyze this crucial information. KoBoToolbox, developed by the Harvard Humanitarian Initiative, is an open source suite of tools for data collection and analysis in humanitarian emergencies and other challenging environments that was built to address this gap. The International Development Innovation Network at MIT D-Lab was created in 2012 to support grassroots innovators around the world to design, develop, and disseminate technologies that improve the lives of people living in poverty. Come learn about best practices for enabling innovation ecosystems and for supporting innovators to create change in their communities. When a person lives on less than $2 a day, there isn’t room for a product like a solar lantern or a water filter to fail. Investing in a product that fails undermines future innovation by reducing confidence and depleting scarce resources. But with so many products on the market, how do you choose the right one? Come learn about the first-ever program developing methods for product evaluation in global development, and see how these methods are being applied in real-life evaluations today. Sourced from the world’s leading constellation, our imagery-based solutions aid humanitarian missions in Seeing a Better World. DigitalGlobe, a leading provider of commercial high-resolution imagery and advanced geospatial solutions, helps decision-makers better understand our changing planet to save time, resources, and lives. With next-generation security and legendary reliability, SurveyCTO lets you conduct surveys on mobile devices in sensitive, resource-constrained settings, fully offline. A custom-built application to manage patient data and track their outcomes. 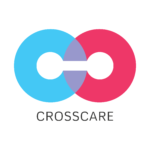 CrossCare brings high-tech to the medical mission field with a unique device-to-device network that functions with no external connectivity. Intuitive design gives medical teams only what they need to track to patients and outcomes with a clean look and feel. Spend time on your patients, not paperwork. Come and try it out for yourself! 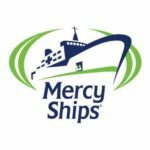 Mercy Ships is a global charity that has operated hospital ships in developing nations since 1978. We bring hope and healing to the forgotten poor by mobilizing people and resources worldwide, serving all peoples without regard for race, gender, or religion. The m/v Africa Mercy, the world’s largest civilian hospital ship, provides state-of-the-art care to those in desperate need. To date, Mercy Ships has treated 2.42 million people – free of charge. The Global Humanitarian Lab is a multi-stakeholder innovation lab to develop appropriate humanitarian solutions for and with the affected populations. It is a partnership of leading humanitarian organisations, public- and private-sector entities, networks, as well as the global crowd. The Global Humanitarian Lab acts both as an incubator to develop ideas into solutions and an accelerator to scale solutions for the humanitarian sector. To achieve this it uses contemporary and efficient approaches. The Global Humanitarian Lab aims at empowering both the humanitarian actors as well as the affected communities to develop adapted solutions for their respective needs. It strives at developing their autonomy and independence. 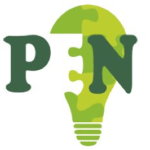 Practical Education Network provides a teacher training program infused with MIT-style learning-by-doing to promote hands-on science regardless of material constraints. Junior high and senior high school science teachers in Ghana learn and design activities which complement the national curriculum and are created from locally available materials. Interested in Exhibiting at HumTech2016? The HumTech2016 Organizers invite you to demonstrate and exhibit services, products and technologies in the field of humanitarian engineering and international development. A dynamic session is being planned that will offer a unique opportunity for posters, exhibits and hands-on technology demonstrations to be shared with researchers and field workers, students and academic faculty, government partners and thought leaders. This is a great opportunity to reach an influential audience. Please contact program@humanitariantechnology.org for more information regarding exhibit opportunities. Google’s Pete Giencke to speak at HumTech2016!